Eugene is a communications consultant, lecturer in communication programs for the media, business and nonprofit organizations. Member of the Supervisory Board of the Gongadze Foundation, member of the Board of the Lviv Oblast Business Committee, a member of the Association of Public Relations Specialists of UAPR, he was a regular employee of the major Ukrainian media (Studio 1+1, before the “First National” and “Kievskie Vedomosti”), worked with leading media inside the country and abroad (“Mirror of the Week”, “Ukrainian Weekly”, worked as a local co-producer for American television channels CBS and PBS, the British BBC). 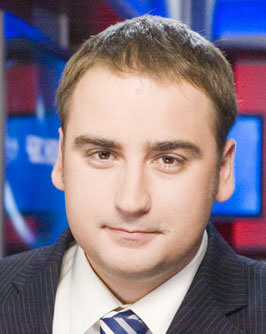 In 2002-2003, together with Roman Scripin and Andriy Shevchenko, he co-developed the concept of 5 Channel. He was the founder and head of the Kiev Independent Media Union. Eugene is an expert in communications and reputation management. He graduated from the Kyiv-Mohyla Academy with a degree in Political Science, and also studied at Bluffton University (Ohio, USA) and Ivan Franko National University of Lviv.